“…When it was completed in 1938, it was worth an estimated $50,000 – and sat empty until 1944. 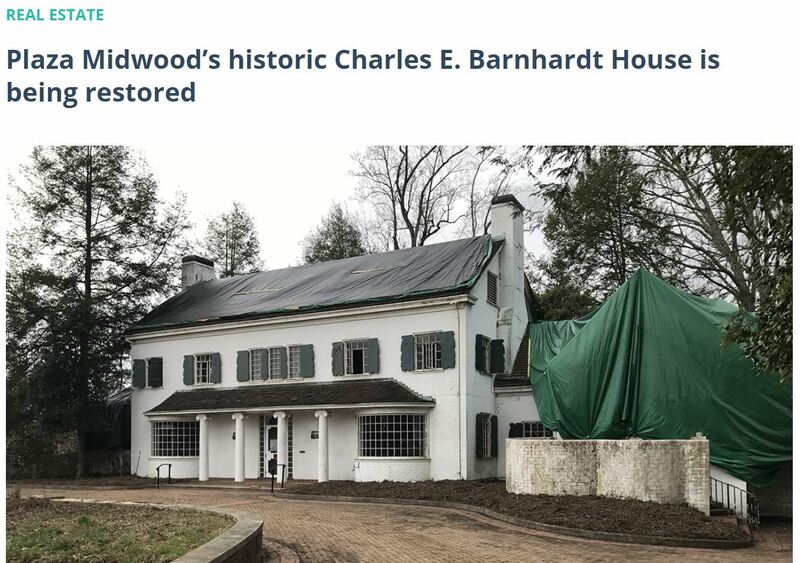 Barnhardt, during a routine trip to the house while it was under construction, was found dead in a pond on the property. It’s believed that he tripped on fishing net on the top of the dam. Edna never moved into the home, and by 1943, it was listed as vacant. In 1944, it was bought by the Hollingsworth family and sold again to George Cramer, a prominent figure in the textile industry, in 1948. Cramer’s family stayed in the house until 2015, when, according to records, it was sold for $5 million to a real estate developer.